When I was little, my grandparents occasionally took me to visit the Astor Column in Astoria. I didn’t pay much attention to the faded murals ringing the tower; I was too busy climbing up and down the circular iron staircase inside. I’ve been there occasionally as an adult, but not since my family was kicked out of the park a few years ago following an unfortunate incident involving a young child, a shoe, and a park attendant with a very small sense of humor. 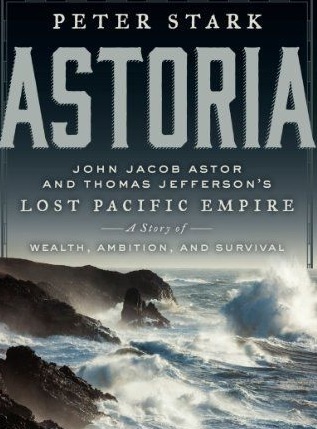 In his book Astoria, Peter Stark tells the story behind the founding of the Astoria settlement. The key to John Jacob Astor’s vision of a global trading empire was an outpost on the Pacific coast, and he poured men and a substantial fortune into the venture. Although Astor was a detailed planner and spared no expense, he failed to take human frailty, an unexpected war, and sheer bad luck into account. Stark doesn’t just give facts; he examines the personalities of the people involved, such as one man who was an excellent ship’s captain but had poor people skills, or another man who built consensus among his team, but failed to make timely decisions. 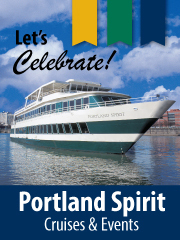 He sets the story into its historical context, explaining why Thomas Jefferson eagerly gave his blessing to Astor’s venture. And he tells both sides of the story, describing, for instance, the Native American culture of the Pacific Northwest and how they would have viewed (and been viewed by) the “civilized” white men. Even though I grew up in Oregon, I never heard this story. I knew that Astor had something to do with the founding of the town of Astoria, but I never knew who John Day was, I never knew that the Snake River used to be called the “Mad River,” and I certainly never heard of Marie Dorian, the Native American woman accompanying the overland team, who not only walked from St. Louis to Astoria with two small children but gave birth to a third along the way (take that, Sacagawea!). Stark’s writing is clear and vivid, but the one criticism I have of the book is that I would have liked more maps, particularly if those maps could have had faint outlines of current state lines to help orient me to where the events took place. I look forward to going back to Astoria and visiting the Column once again. I’ll avoid that caretaker, but this time I’m going to look at those murals, because now I know what they’re about. Great review! I really want to read this book and want to also visit Astoria again. I have been there a couple times, but never yet went in the tower–now I want to. Thanks for this info.